An important outcome of student learning is the ability to evaluate and create new knowledge and information. This meta-level skill is frequently sought by employers and is a central component of senior-level capstone courses where students are required to apply higher level learning. While advanced courses within a given discipline (e.g. 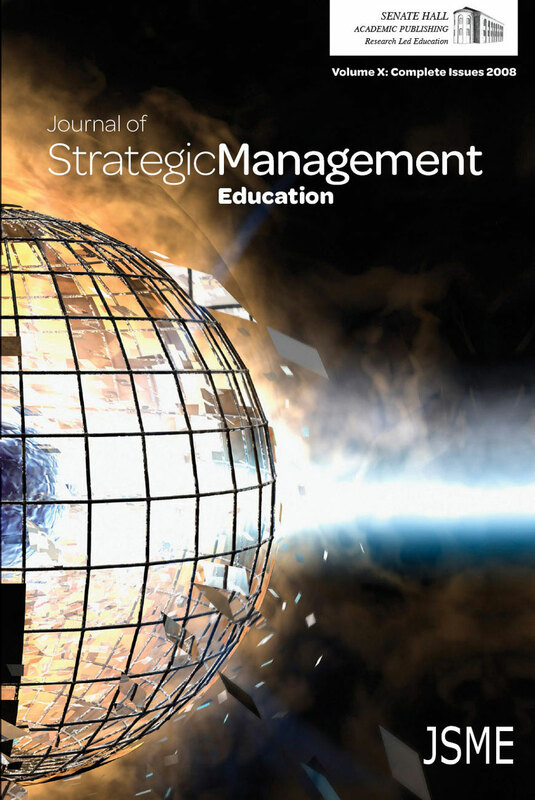 finance, marketing, management) train students to analyze, evaluate and create new knowledge, integrative capstone courses are unique in that they require students to demonstrate this higher level learning across functional domains. In this paper we describe a pedagogical approach that was designed to address this challenge. Specifically, we detail how a modified tournament style case competition can be meaningfully integrated into a capstone course to address the challenges of evaluating and creating knowledge across well-defined domains. We build on experiential learning theory to highlight how the discrete components of the tournament/course enhance learning through transformative experience, thus going beyond simple cognitive or behavioral explanations of how individuals learn. A student’s ability to integrate higher levels of learning across various domains represents a valuable skill that is desired by employers. As such, we describe one method whereby this might be achieved and invite additional research in this area.